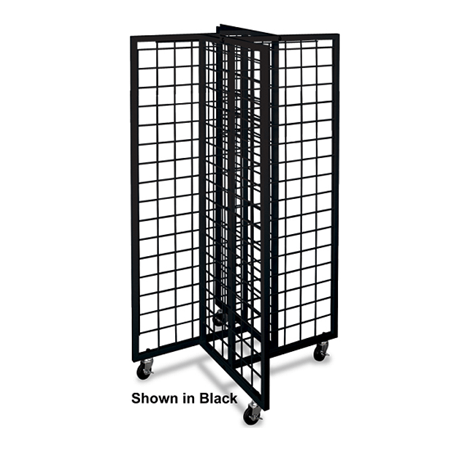 Display a wide variety of merchandise with this Black 4-Way Gridwall Merchandiser. The pinwheel design of this heavy duty metal fixture adds stability and dependability for every day sales events. With the three-inch center configuration, you can add a variety of grid panel accessories such as brackets, shelves and grid hooks of various lengths, types and styles. Casters are included to make this a mobile floor fixture. The design of this portable floor fixture makes it easy for customers to view the retail materials and obtain their selection with ease. If white is a more fitting color for your existing decor, just click here and it will take you to the very same stand except in the white finish. 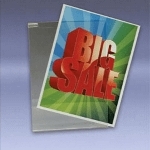 Offer versatility in your retail store displays. Ordering your metal merchandiser is easy just add to your online shopping cart today at Candy Concepts Inc. and start rolling.